We offer national and international conferences and multiplier events for different target groups to disseminate the intellectual outputs that are developed within the project. In total there are 6 multiplier events that will take place during the project. Please find more information below about each one of it. The International Conference on STEM Education and the Inclusion of Cultural Differences was attended by university teachers preparing prospective teachers, primary and secondary school teachers, researchers in Environmentalistics and Ecology, and the representatives of various institutions involved in the education in this field of 9 countries. 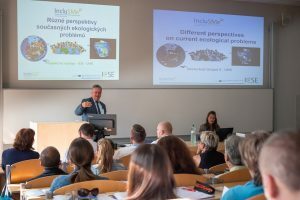 Within the framework of the program, the participants heard three main lectures on the current outcomes of the IncluSMe project in the areas of: the cultural aspects of inclusion, the teaching of Mathematics and Natural Sciences in extracurricular activities, and contemporary ecological problems in teaching in the context of the inclusion of cultural differences. Other plenary lectures provided insights into inclusion on the basis of different experience of the lecturers or different aspects of inclusion. One of the plenary lectures was presented by PhDr. Miroslava Čerešníková, PhD. from the Institute of Romological Studies and the Vice-Dean of FSSHC CPU in Nitra. Very valuable and interesting was the lecture of the teacher Mgr. Zuzana Kijácová from Vyčapy-Opatovce Elementary School, who shared with the participants her experience in teaching mathematics of children from Christian families from Iraq, who arrived in the village in 2016. Under the topic Mathematical diversity (Matematikens mångfald) this year´s LUMA conference has addressed one of todays biggest challenges: how to prepare tomorrow´s teachers of mathematics for the intercultural classrooms. Swedish team presented the project modules “Dealing with deficiencies and excellency in the mathematics proficiency of immigrant pupils” as well as “Accompanying prospective teachers in making intercultural experiences”. This was a great oportunity to reach ongoing teachers and their educators from all arround Sweden. Through these seminars awareness for the fact was raised, that it is essential to include multi- and intercultural perspectives in university courses for prospective mathematics teachers in Sweden. 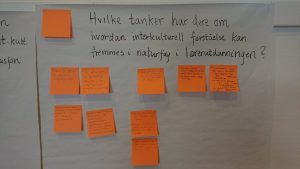 Each year the Norwegian University of Science and Technology (NTNU) in collaboration with the Norwegian Centre for Science Education (Naturfagsenteret) and the National Network of Science Educators (NNN) organize an annual national conference for science educators (Hell-seminaret). A special highlight of the three days long conference this year was the presentation of the modules developed within the project IncluSMe. Lectures and workshops were given on the relevance of language in science education (O9), intercultural science learning outside of school (O11), and pedagogical approaches to mathematics and science teaching in diverse classrooms (IO6). The modules and the presentation of the IncluSMe Project itself were received very well. Inspired by the lectures and workshops, conference participants reflected on how interculturality could be implemented and enhanced in their own institutions and expressed some ideas e.g. pedagogy theories in science context, strategies to help learning scientific language (terminologies, concepts), and use of different nature/ecosystems in different countries. 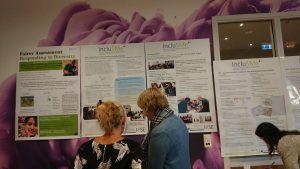 Besides the lectures and workshops, there was a poster session throughout the three-day conference, which introduced all 63 participants of the conference to IncluSMe project, its modules and Summer School in Prague. 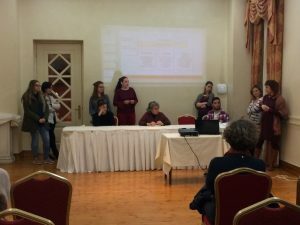 On the annual conference the National Mathematics Days 2019, the project IncluSMe partners not only from the Netherlands, but also Germany and Malta, offered a track of three workshops, thus bringing some international experiences to the participants of the national multiplier event. The workshops covered the topics “Culture-related contexts for mathematics and science,” “Assessment in mathematics and science in multicultural contexts” and “Different cultures – different approaches to reasoning and algorithms in mathematics.” In a lively atmosphere a total of around 50 participants engaged in activities and discussions on these topics. The practical value of the examples as well as the theoretical background on the meaning of ‘culture’ and ‘diversity’ was recognized and appreciated. It proved easy to connect this to the Dutch educational practice and the context-rich central final examinations in mathematics. 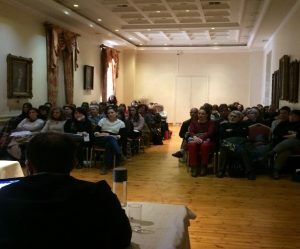 The multiplier event was attended by university teachers, school advisors and people from the Greek Institute of Educational Policy, as well as practicing and prospective primary and secondary mathematics and science teachers. Participants of the event were excited by three presentations: the IncluSMe project in general (1), the various modules developed in the project with a primary focus on IO6 and IO13 (2) and an overall analysis of prospective teachers’ outcomes while working on the project materials (3). Other plenary lectures provided insights on educational policy activities of supporting refugee students in Greece and members of other Greek universities referred to issues and challenges they met while educating prospective primary teachers for teaching in multicultural classrooms. Presenters and the audience egaged in a very fruitful discussion during the round table activity. It was focusing on a range of approaches and issues emerging in multicultural classrooms in mathematics and science. Finally, all the participants had the chance to share their ideas, insights and expectations in three workshop activities. 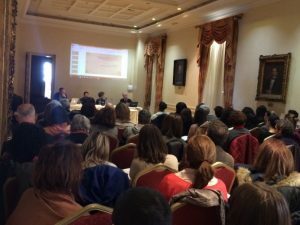 The main aim of this multiplier event was to develop an awareness of the need to link the multicultural classroom, the educational policy strategies and the teacher education programs, as well as to bring project IncluSMe to a wider audience. These aims were met with flying colours.